Aston Martin and TAG Heuer was a marriage waiting to happen. Now the first offspring has emerged in the Aston Martin DBS Superleggera TAG Heuer Edition – a limited build of 50 of the bruising Brit supercars, each to be accompanied by one of 50 TAG Heuer DBS Edition Carrera watches. The Superleggera (“superlight”) name dates back to the 1930s and the Milanese coachbuilder Carrozzeria Touring, which developed a lightweight body comprising ultra-thin aluminium panels draped over a framework of fine steel tubes. It was used for several landmark Italian cars of the 1940s-’50s and in the 1960s, most famously, by Aston Martin for its fabled DB4 and DB5 models. The DBS Superleggera, introduced in 2018, warrants the name through its use of carbon-fibre body panels that help trim 72 kilograms from the weight of a standard DBS, with its already sophisticated aero design tweaked to produce up to 180kg downforce with no additional drag. A kerb weight of 1693kg is quite commendable for this “brute in a suit”. Powering the DBS Superleggera is a twin-turbocharged, 5.2-litre V12 developing 533kW and 899Nm, driving the rear wheels via an uprated eight-speed gearbox. Performance is Herculean: those turbochargers help thrust the sleek two-seater effortlessly to 100km/h in just 3.4 seconds, and on to a top speed of 340km/h. Handling is made even more assured than that of the DBS via a 5mm lowering of the sophisticated, double-wishbone front and multi-link rear suspensions, and the fitting of 21-inch wheels with slightly wider rubber. 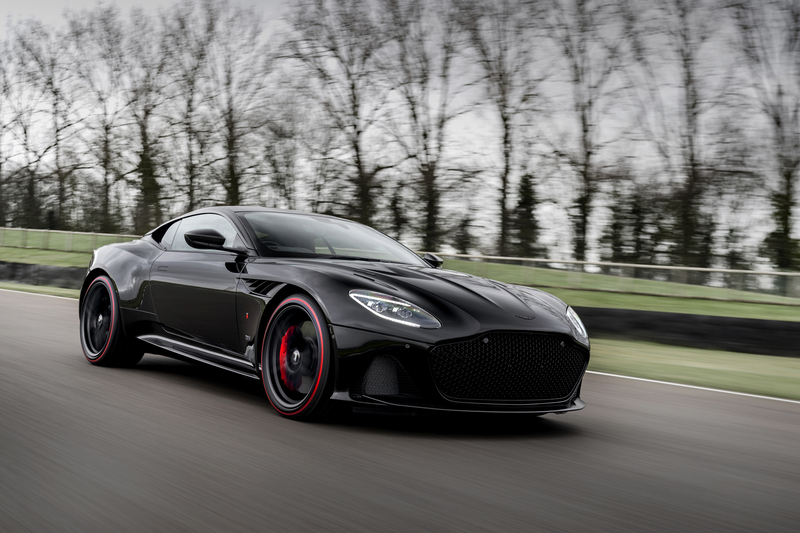 The 50 examples of the Aston Martin DBS Superleggera TAG Heuer Edition are finished in Monaco Black paint with a satin black tinted carbon-fibre roof, mirrors, vents, louvres, splitter and spoiler. The wheels are likewise finished in satin black, while the Pirelli P-Zero tyres have red accents to complement the brake calipers. TAG Heuer answers the Superleggera’s challenge with its carbon-fibre case housing the Calibre HEUER 02 automatic movement. This precision, performance “engine” is partly visible through a dial whose hexagonal perforations macth those of the DBS Superleggera’s gaping grille. 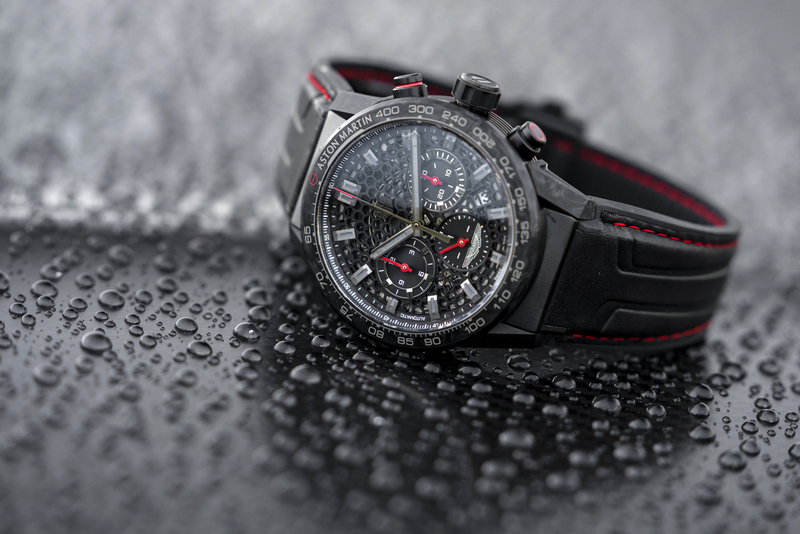 The black calf leather strap similarly mirrors the lavish leather upholstery of the car, while red styling accents and – for good measure – a TAG Heuer shield on the car’s flanks cement the relationship between timepiece and titanic touring coupe. 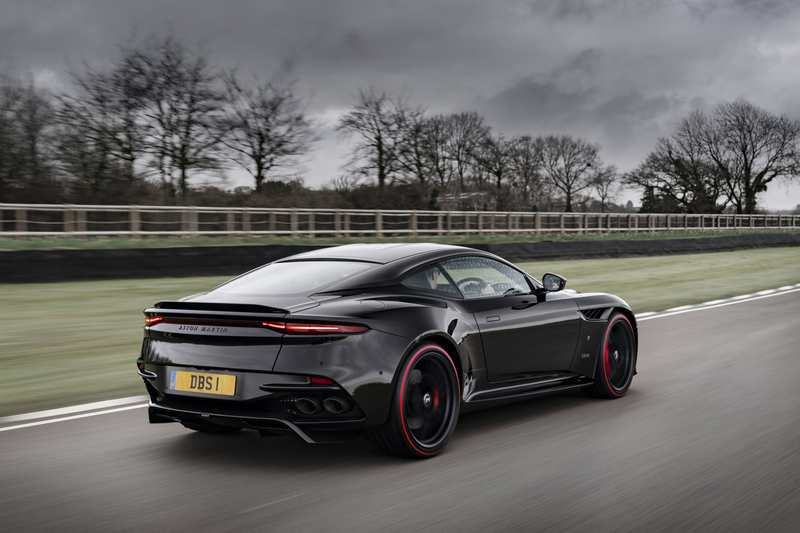 The Aston Martin DBS Superleggera TAG Heuer Edition is priced at £295,000, or around $550,000 – but with only 50 being made, buyers will be quick. And timely.